Channing Dodson is a musician specializing in the performance of traditional music from Ireland and Gaelic Scotland on the Scottish Highland bagpipe, Scottish smallpipes, Irish uilleann pipes and Irish wooden flute. 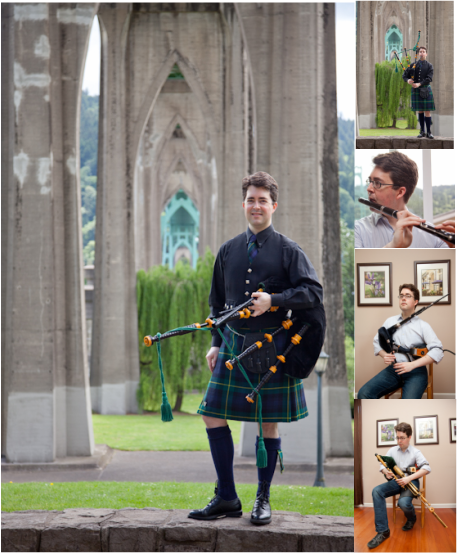 He performs both solo and in ensembles for weddings, public performances, and other events throughout the Pacific Northwest. He has shared the stage with Irish music luminaries such as Paddy Keenan and Kevin Burke, performed for the distinguished late Senator Mark Hatfield of Oregon, and played throughout Washington, Oregon, Northern California, and occasionally further afield in Ireland and Scotland.